This week is Drive Safely Work Week™ (DSWW), an annual campaign sponsored by the Network of Employers for Traffic Safety (NETS). Safe driving should be a habit. However, in case issues do arise with your fleet staff, here is some data on how poor driving affects your bottom line. There is also a way to monitor driver behavior for crafting policies, training and even incentives.This week is Drive Safely Work Week™ (DSWW), an annual campaign sponsored by the Network of Employers for Traffic Safety (NETS). Safe driving should be a habit. 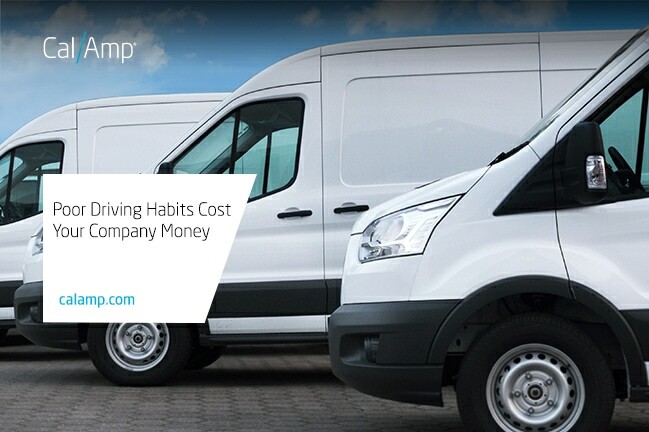 However, in case issues do arise with your fleet staff, here is some data on how poor driving affects your bottom line. There is also a way to monitor driver behavior for crafting policies, training and even incentives. These are huge financial impacts on your business. Having hard data helps make correction and training easier. Vehicle telematics provides the stream of information on driver behavior and vehicle health. For example, FleetOutlook™ has a scorecard report which shows speed violations, hard braking and aggressive acceleration. Fleet managers are also able to review breadcrumb details to gain a fuller picture of events. Telematics solutions typically offer real-time alerts when a vehicle reaches a preset parameter, such as over 80 mph. With a direct connection to the engine, you have access to the onboard diagnostics system which provides data used for proactive maintenance or troubleshooting when you are notified of an engine issue, such as the check engine light. Also, many companies have begun pairing their telematics systems with in-cab cameras to capture visual evidence as well. In addition to controlling operating expenses, safer driving should also help with lowering insurance rates. If you would like to learn more about how FleetOutlook™ is able to help your fleet management, please visit our page here. How are your drivers being safety ambassadors in the community?